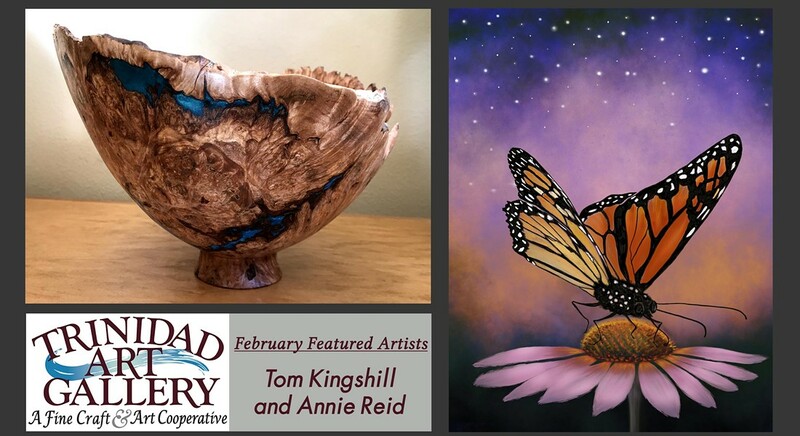 Trinidad Art Gallery is proud to featured members Tom Kingshill and Annie Reid for the month of Feburary. Come see the gorgeous turned woodwork of Tom Kingshill and enchanting digital paintings of Annie Reid. Both artist have new featured works for the month of February. Valentine gifts will be available throughout the gallery.